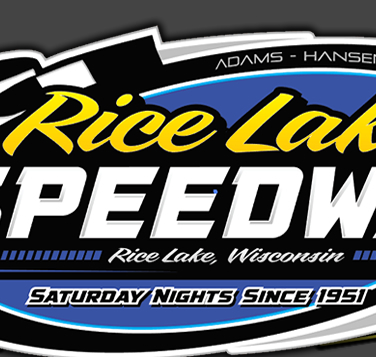 RICE LAKE, WI (July 3) – In front of the largest crowd of the season and with the biggest car count of the year in the pits, the Firecracker special Wednesday night at Rice Lake Speedway was a huge success for the track. But even more successful were the racing Halopka brothers; with stirring drives through the pack, Kerry and Shane finished first and second in the Midwest Modified feature event to highlight the holiday program. Making it even more special for them was that both drove around defending national champion Cory Crapser to make their successful moves. Other winners during the holiday race night were Jared Amundson, Eric Olson, Scott Lawrence and Kevin Adams. Twenty cars took the green flag for the Midwest Modified main event and it was Crapser, sitting on the pole, that took the early lead. He was challenged in the early going by Joe Chaplin Jr and Travis Anderson while the Halopka brothers, who started in rows three and four were also moving into a challenging position. Two yellow flags for minor spins in the first four laps kept the field bunched, but each time Crapser would again pull into the lead. The majority of the field was running the low side of the track but when Kerry and Shane moved to the second groove they immediately found success. Driving past Travis Anderson, they moved into second and third and continued to close on Crapser. Kerry was very strong racing into the corners and on lap eight in drove deep into the turn and edged past Crapser into the lead. One lap later a two car tangle would trigger a final yellow flag. On the restart, Kerry Halopka continued to hold the lead with Shane now pulling up beside Crapser in a battle for second. They raced side by side with Shane also using the second groove to move past Crapser. Kerry continued his strong pace and raced under the line for the win with Shane a strong second. On the final lap Ryan Viltz also had success on the high side as he edged past Crapser to take the final trophy spot while Anderson completed the top five. It was Kerry Halopka’s first win at the track in 2013 as there have been no repeat winners in the division so far this year. Amundson won a yellow flag plagued Pure Stock feature after starting on the pole position. He was scored the leader of every lap but it was far from easy as he was challenged all the way, mainly by a strong running John Erickson. Jay Folz and Hunter VanGilder were also early contenders with Jimmy Holden and C.J. Wagner racing in the lead pack. Several yellows for one car spins slowed the pace including one that saw contender Dustin Doughty turned around. Through it all, Amundson continued to lead with Erickson becoming his primary challenger. Several times John stuck a nose under Jared but was not able to complete the pass. With the time limit for the race up, a late yellow set up a two lap sprint to the finish. Amundson took off with Erickson in close pursuit but fittingly, a tangle among the leaders saw Folz forced into the wall and the race finished under the yellow with the finish determined from the white flag lap. Folz was restored to third behind challenger Erickson with Wagner and Doughty completing the top five. For Amundson, it was his first win at the track since the 2007 racing season which was the last year that Jared raced on a regular basis. It was a wild Street Stock feature that saw the winner at one point late in the race turned around as a furious battle took place for the top spot. Cody Kummer was the early leader with James Vought, Olson and Sam Fankhauser challenging him for the point. This race also had more than its share of yellow flags and spins and stalled cars slowed the action several times. Kummer received his hardest challenge from Olson and near the midpoint of the race, Eric was able to drive under Cody and take over the top spot. Fankhauser moved into second with Doug Wojcik racing into third. Fankhauser looked low while Wojcik tried to move up the track and both continued to closely follow the leader. With only three laps to go, Fankhauser tried to get under Olson off turn two but it didn’t work and contact saw Olson spin wildly up the track. Fankhauser damaged his own car in the incident and was done for the event with Simon Wahlstrom and Vought also being collected. It became a three lap sprint to the finish and while Wojcik tried everything he could, Olson would not falter as he held on for the win. Kummer settled for third, Jimmy Randall came from the back of the pack for fourth and Chris Peterson, in his first night out, completed the top five. Olson becomes the first repeat winner in the Street Stock class this year. After a first lap yellow for a spin, the Super Stock feature went nonstop with Jason Forehand taking the early lead, only to be quickly passed by Lawrence for the lead. Lawrence built up a few car lengths advantage as Shane Kisling attempted to work into a challenging position also. Near the midpoint of the race, Forehand started to pick up the pace again and closed down the lead Lawrence held as Jason moved up the track and found it to work. He closed to near the rear bumper of the leader, but as the laps ran down, Lawrence refused to buckle under the pressure and maintained his line to take the win by a car length over Forehand. Bart Steffen made a nice advance as he moved up from the fourth row with steady driving and late in the race moved into third. Olson came from the back of the pack after a heat race wreck to finish fourth ahead of Aaron Wilson. The only feature event of the night to go clean from start to finish was the Modified main. Adams started on the pole and after a brief challenge from Ashley Anderson in the first couple of laps, Adams gradually pulled away from the field for a relatively easy win. Anderson maintained second all the way while Mark Hessler started and finished in the third spot. Mike Anderson gained a few spots after starting in the third row and came home fourth while Ross Prochnow fought off brother Brent to finish in the top five. 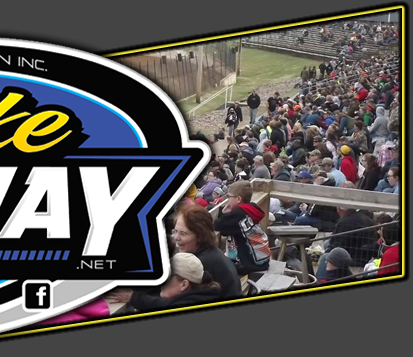 There will be no racing Saturday night, July 6 at the speedway. The next racing action at the track will be on Saturday, July 13 with the appearance of the IRA Sprint Car series in town as the 410 winged Sprint Cars make the only appearance at the track in 2013. Former local resident Billy Balog is expected to lead a group of about two dozen of the Sprints to the track in a program that has always been entertaining. The other classes that race at the track will also compete in a full, point program as well. The speedway announced an important schedule change in July as well. 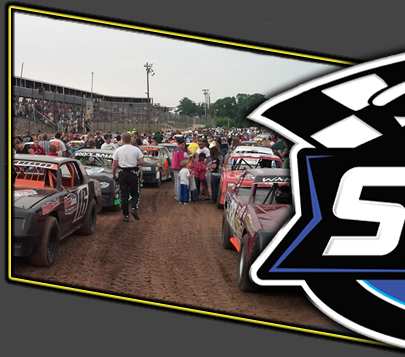 Having originally planned not to race on July 20 during the Barron County Fair and instead hold a Tuesday night program on July 16, track owners Dave Adams and Mitch Hansen have decided to race on Saturday, July 20 and scrub the Tuesday night show. Both competitors and fans had come to the owners, stating that it was much easier for them to get to the track on Saturday, rather than on a non holiday Tuesday night. Also announced Wednesday was that for the remainder of the racing season, the draw for competitors will now be extended to 6:30 p.m on race nights. Hot laps will still be scheduled for 6:30 with racing to follow but the draw window will remain open for an extra half hour to allow the large number of out of town drivers ample time to get to the track and still register to race.